Most people think that to keep the temperature in your home down your power bill has to go up. This is not necessarily true. Taking the proper steps to use your air conditioning effectively could cut your power bill by 10%. Reduce summer cooling costs with these five easy-to-follow tips. Installing blackout curtains on your windows can shield your home from the summer sun. These thick curtains have a white backing that reflects the sun’s rays, keeping them from heating up your house. If you don’t want to block the sun out of your house all day, try closing curtains during dawn and sunset when the sun is most likely to shine directly into your windows. Blackout curtains reduce the heat transfer between your home and the outside. Their thickness acts as insulation that keeps cold air in during the summer and helps your house stay warm during the winter. Keeping your air conditioner running at its best is a surefire way to reduce summer cooling costs, and making sure that the filter is clean is an important part of air conditioner maintenance. Clogged filters make circulating air more difficult and force your system to work harder. If your air conditioner filter is reusable, clean it when the temperatures start to climb. Otherwise, install a replacement filter if you have a disposable one. Nothing says summer quite like grilling hotdogs and hamburgers. Did you know that it’s also a great way to keep your house cool? When you use your oven or cook on your stovetop, the heat radiates throughout the house. Cooking on a gas or charcoal grill keeps that heat outside. Don’t let the thermostat wars take a toll on your wallet. Come to an agreement about where you will set the temperature. It is a good idea to set it to a warmer temperature during the day and a cooler temperature at night. Many thermostats are programmable. Setting your thermostat at a higher temperature when everyone is normally out of the house is a great way to reduce summer cooling costs. 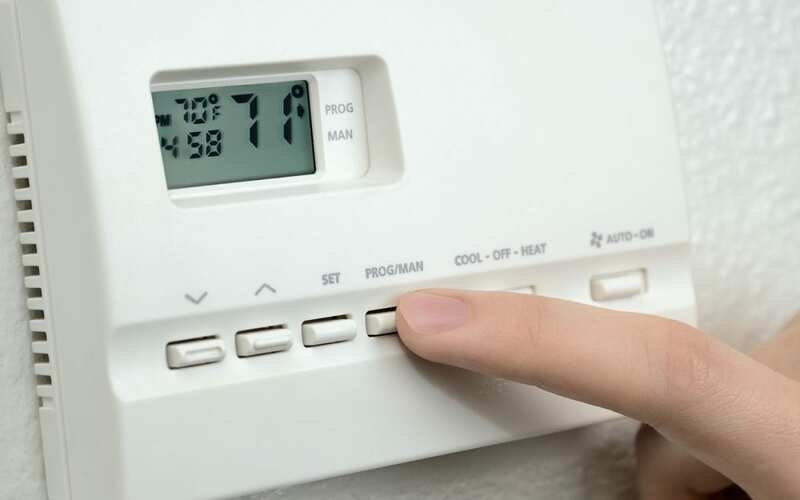 You can reduce your cooling costs by 10% simply by raising your thermostat by 7 degrees for eight hours during the day when no one is at home. Have you heard that it’s a good idea to close the vents in rooms you don’t use during the summer? It seems like it should work but closed vents actually do more harm than good. Home ventilation systems are designed for balanced air flow throughout your home. Shutting vents disrupts this balance and makes your air conditioner work harder and less efficiently to cool the rest of the house. For more information about this and other energy-saving myths, check out this Angie’s List article. Diligent Home Inspections serves Maryland with home inspection services. Contact us to discuss your needs and schedule an appointment.